OK, after hearing and seeing the ads for years, and just over a year after writing a blog post questioning the advertising of something that wasn’t available in this state, the curiosity was just too much. I finally tried CiCi’s Pizza. I happened to be in L.A. doing a little CD shopping and planned to stop on my way back in Chino Hills and check out the recently opened pizza buffet. Do they have the best pizza I’ve ever had? No, but some of their varieties are actually pretty tasty. Free pancakes! Free pancakes! Free pancakes! How could I have forgotten about this one? 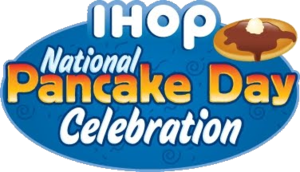 International House of Pancakes is giving away free short stacks of pancakes from 7 a.m. to 10 p.m. today (February 23). children’s hospitals via Children’s Miracle Network or a local charity. The money raised by IHOP has grown by leaps and bounds each year, from $300,000 in 2006 to $1,300,000 in 2009. Their goal is to reach a $5,000,000 for five years, which means they need to raise $1,900,000 this year. Will you help? Your tummy will appreciate those warm, fluffy IHOP pancakes! 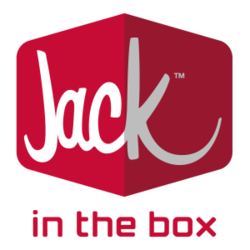 Jack in the Box is promoting its new grilled sandwiches by giving them away. All day tomorrow (February 23), the fast food restaurant is giving away either one of its new grilled sandwiches with the purchase of a large fountain drink. Turkey, bacon and cheddar: Roasted turkey, bacon and Cheddar cheese, with a sun-dried tomato sauce on grilled artisan bread. Deli trio: Genoa salami, sliced ham, roasted turkey, Provolone cheese and pickle fillets with a creamy Italian dressing on grilled artisan bread. The free grilled sandwich offer is not valid with any other offer and is at participating restaurants only. TLC’s Ultimate Cake Off show comes to the Fairplex tonight to celebrate the Los Angeles Firebirds’ roller derby season opener tonight (February 20) against the Brooklyn Red Devils. Three master cake makers will challenge each other to see whose creation will come out on top…and I do mean on top. Each cake must be at least five feet tall! Fans in attendance will have the opportunity to taste the incredible cake creations. The event is being filmed for broadcast later in the year. Doors open at 7 p.m. The game begins at 8 p.m.
Tickets are available at the Fairplex or at the Firebirds’ Web site. Of course, the irony in that headline is that the north Rialto fresh & easy has been a reality for, oh, about a year now. It’s only recently that the store has been stocked in anticipation of this morning’s grand opening. The opening went off without a hitch. The crowd was abundant, but not overwhelming. Rialto Child Assistance went away with $1,000 more in their coffers to help needy Rialto School District kids. I left with two 12-packs of diet Riot cola for $1.98. Two bucks for a case of diet cola?!? That must be the easy part. Follow the jump to see photos from the opening. Oh, and one more thing before you go: A little bird (Thanks, S!) did tip us off about the Calimesa store opening date. Mark your calendars now for March 24. Free pretzel! Free pretzel! Free pretzel! We here at Dine 909 catch things from here and there and pass them along to you. Yesterday, we received a fax from the folks at Inland Center regarding one of their tenants: Auntie Anne’s. You see, Auntie Anne’s is giving away free pretzels from 10 a.m. to 3 p.m. Saturday (February 20). Who doesn’t like free pretzels, especially from Auntie Anne’s? You know the kind…hot, fresh…you can smell them two department stores away. Mmm! On Saturday, you’ll have your choice of an original or a cinnamon sugar pretzel. One per pretzel-eater, please. Of course, Auntie Anne’s is also in Ontario Mills. In fact, there are two…one at each end. Perhaps if you get a pretzel at one, you’ll have enough energy to walk all the way to the other one…where you can get another pretzel. Other Inland Empire locations include the Cabazon Outlets and the Promenade Mall in Temecula. For more information, or to get a text message to remind you (as if!) 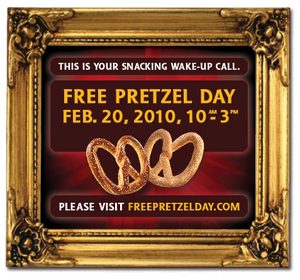 to get your free pretzel, click here or on the image above. While you’re there, you can also find out how to enter to win one of 100 Auntie Anne’s T-shirts. Usually when fresh & easy opens a store, they send out a press release about it. Their stores are eagerly anticipated. People want to know when they’re opening. Then, just moments ago, another Twitter message: CORRECTION: 4 stores opening tomorrow! For all store grand opening event info http://bit.ly/dAKOdR stop by say hello, pick up some treats! So, I looked. The store they left out was Rialto! Oops! Um…thanks a lot, fresh & easy. Congregation Emanu El of Redlands is hosting their 12th annual Food and Wine Ecstasy beginning at 6:30 p.m. Saturday (February 20). The event will be held at the congregation’s interim synagogue in the Ford Business Plaza, 1473 Ford Street (just south of Interstate 10). The evening will feature hors d’uvre and wine tasting as well as sampling of gourmet olive oils, port wine and fine chocolate. Martha Green, local culinary expert and entrepreneur, will conduct the evening’s live auction along with David Cohen, Inland Empire Magazine Restaurant Co-Editor and Sun/Daily Bulletin food critic. The event will also include a silent auction. Tickets are available for $35 per person presale or $40 per person at the door. Funds raised will benefit the full service Jewish programming the synagogue offers. Congregation Emanu El is the oldest Jewish congregation in Southern California. With full-service programming for young and old, a religious school, Sisterhood and Sabbath and festival worship services, the Congregation serves the entire Jewish community. 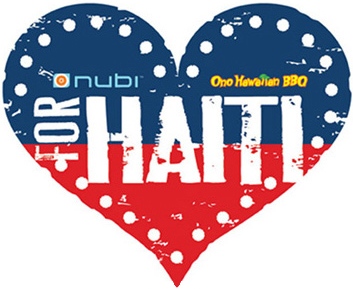 Nubi Yogurt is showing “Love for Haiti” by raising funds for the Haiti relief effort today (February 15). As a delicious incentive, customers will be getting free frozen yogurt when they donate. Here’s how it works: For a minimum donation of $1, customers will receive a special Haiti cup to fill with frozen yogurt and toppings. It’s that simple. Of course, there are restrictions: One cup per customer and the offer is not valid with any other offer. In addition, through the end of the month, customers can purchase and sign “Love for Haiti” hearts which will be displayed in the frozen yogurt shops. 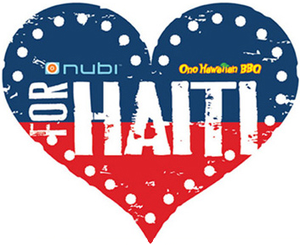 The fundraising effort kicked off yesterday with a special “buy one get one free” offer at Nubi, while fundraising partner Ono Hawaiian BBQ donated half of all Valentine’s Day sales of chicken katsu and Hawaiian BBQ chicken to the effort. At the end of the month, all funds collected will be donated to the Haitian relief effort. You’ll find Inland Empire Nubi locations in Moreno Valley, Redlands and Apple Valley. For more information, visit Nubi’s “Love for Haiti” page here. Way to go, Nubi and Ono! After pestering us for years with local television and radio spots, we’re finally getting a CiCi’s Pizza within driving distance. CiCi’s Pizza Buffet will open Monday (February 15) in Chino Hills, at 4200 Chino Hills Parkway. The buffet will normally cost just $4.99, but if you happen to be one of the first 100 people in line on Monday, you’ll receive free buffets for a year! The announcement of the new 4,800 square foot restaurant comes nearly a year to the day since a certain blog post lamenting the barrage of advertising and complete lack of restaurants within California was written. Of course, since then things have changed. The Chino Hills restaurant will be the third in the state, following a CiCi’s Pizza Buffet in San Diego and a CiCi’s Pizza To Go in Gardena. 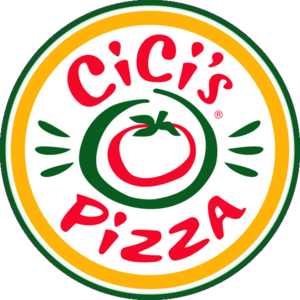 CiCi’s offers 18 varieties of pizza, including specialty pizzas such as Buffalo chicken, BBQ, Mexican pizza Ol, spinach Alfredo and macaroni and cheese. Besides pizza, the buffet also features pastas, salad and desserts. In addition to the buffet, CiCi’s will sell single-topping 15″ take-out pizzas for $4.99. I’m still a little curious to check it out, but for $4.99 for all you can eat, I can tell you I’m not expecting much.